K&N drop in replacement air filter for all year Honda Grom 125 / MSX 125! Increase performance, fuel efficiency, and save money with a rechargeable air filter! 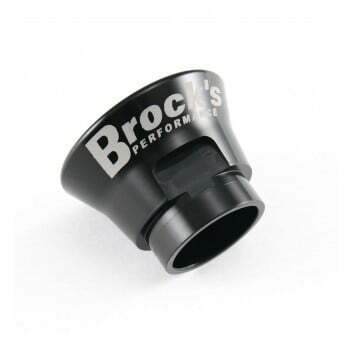 For increase performance, be sure to pair this air filter up with a Brock's Performance Velocity Stack that works with OEM Honda Grom air box! It seems as if small motorcycles and mopeds are quickly taking over the streets and alleyways as young urbanites seek affordable, yet fun, transportation. This seems to be a cyclical trend as small bikes, like the Honda MB5, or a Puch Moped from the 1970’s and early 1980’s are coming back into style. 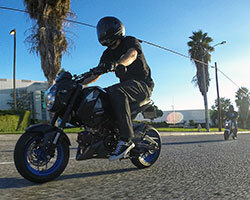 Similar to an insect infestation, and a group of small 2-stroke engines sounds an awful lot like a swarm of killer bees, owners of these mini bikes are forming clubs with the intention of overtaking cities across the nation. 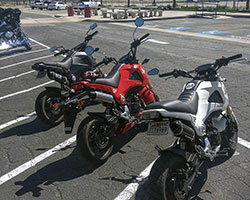 A thirty-year-old finicky two stroke moped isn’t every young person’s cup of tea, and building off the Honda Ruckus craze, American Honda has introduced the 2013 to 2014 Honda Grom or MSX125 as it is known in some markets. 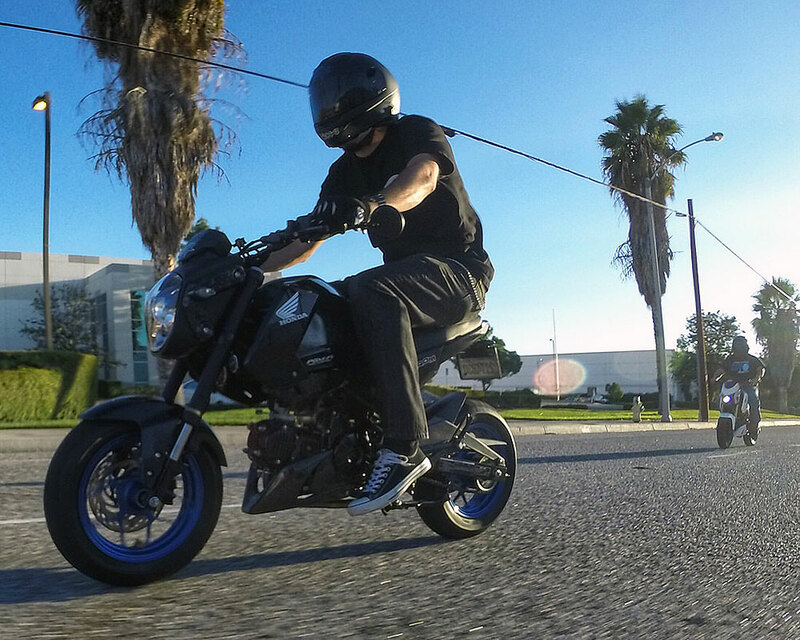 The 2014 Honda Grom takes legendary Honda 4-stroke reliability and blends it with modern electronic fuel injection, electric starting, an easy to use four speed transmission, and hydraulic disc brakes. 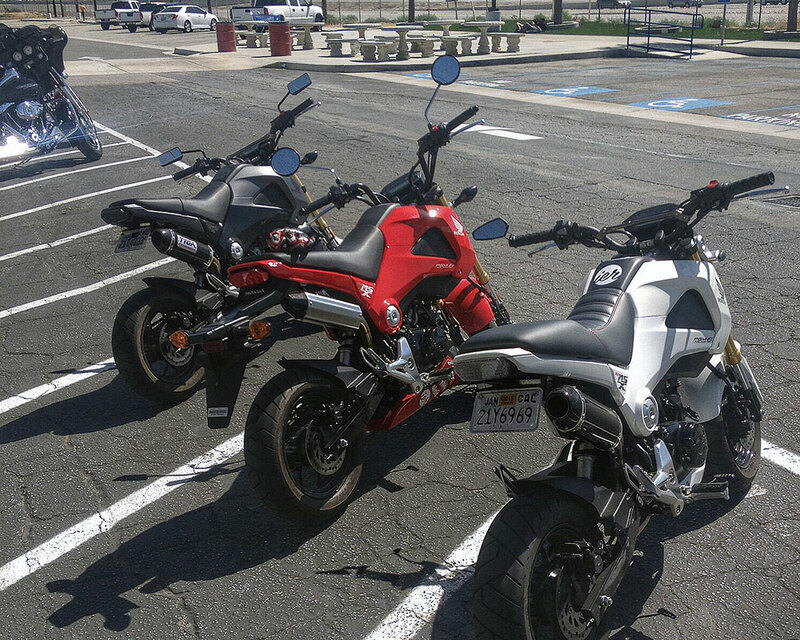 Throw in the fact that the Grom is designed to accommodate a passenger for two-up riding, and it’s no wonder this bike has gathered a large following. 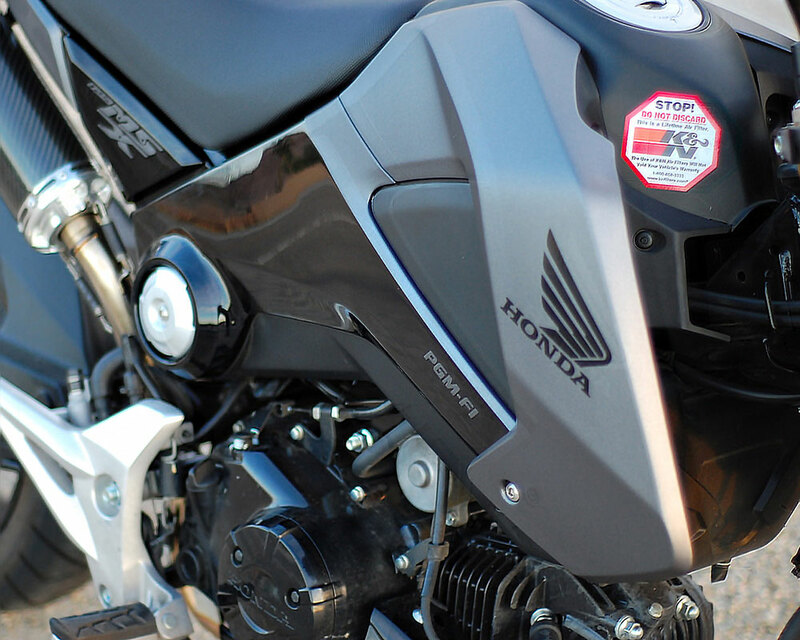 2014 Honda Grom owners have been chomping at the bit for a performance air filter from K&N. 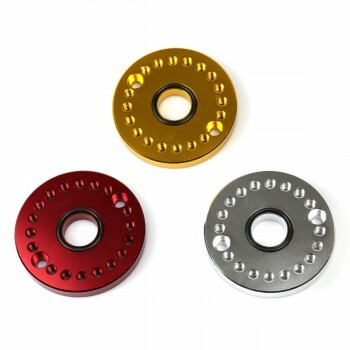 After spending some time doing proper research and development K&N can offer a washable and reusable performance air filter upgrade for the 2013-2014 Honda Grom / MSX125. 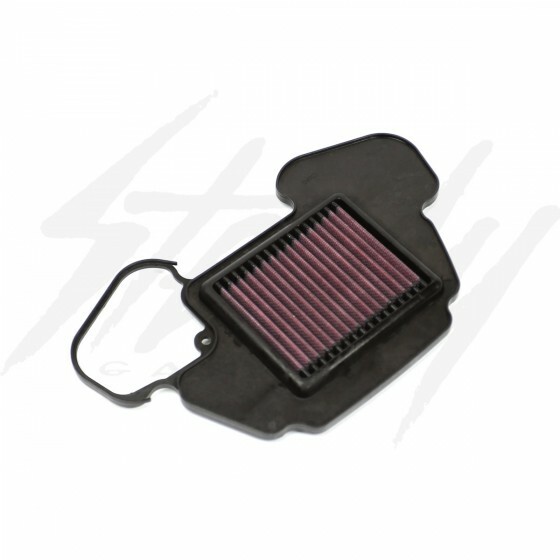 A replacement K&N High-Flow Performance Air Filter is designed to provide increased airflow, resulting in increased acceleration and throttle response while providing excellent filtration. Fuel management changes or additional modifications to the 2013-2014 Honda Grom / MSX125 are not necessary to obtain increased performance. Some might be worried that an increase in airflow comes at the expense of filtration efficiency and engine protection. K&N performs filtration efficiency testing following the ISO 5011 protocol to guarantee that our air filters will provide high airflow without sacrificing engine protection. Air filtration testing results are available online, and show that part number HA-1313 has a nearly 98% overall filtration efficiency rating. Perhaps more exciting than the increased performance that comes with a replacement K&N High-Flow Performance Air Filter is that they are also a washable and reusable air filter. The ability to wash and reuse a K&N air filter means that it will pay for itself over time. 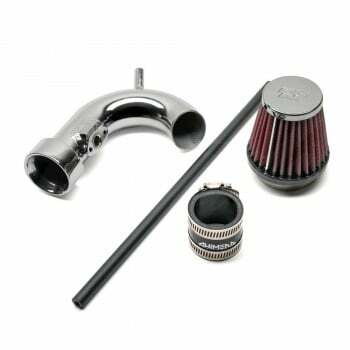 A K&N washable air filter can be made like new using one of the K&N Recharger air filter service kits. K&N Part number HA-1313 is designed as a direct air filter cross reference for Honda part number 17210K26900. For all K&N Honda MSX and Honda Grom air filters visit the Honda MSX Air Filters and Honda Grom Air Filters pages on KNFilters.com.